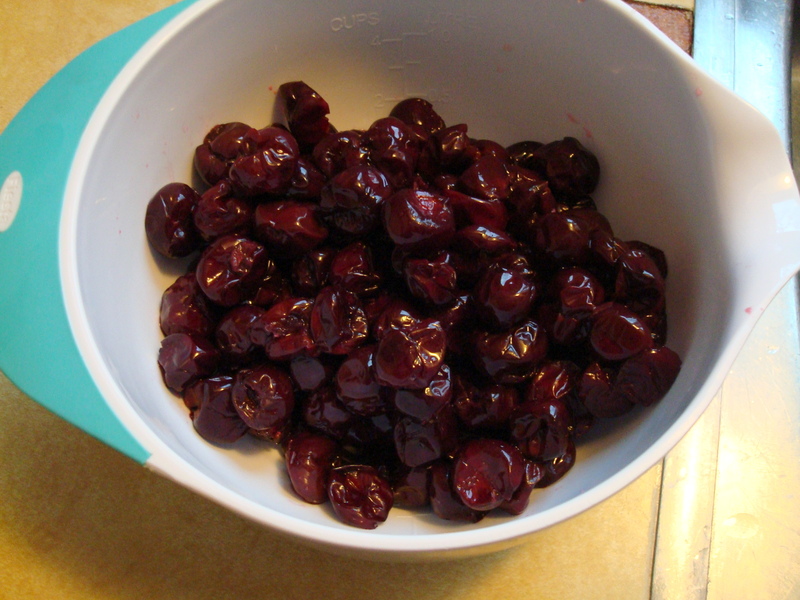 Man am I glad I bought a big ol’ tub of frozen cherries at the farmer’s market at the end of the summer last year. That was some major forward-thinking on my part. There’s just something about baking with cherries that screams summer even if it’s only the beginning of February. 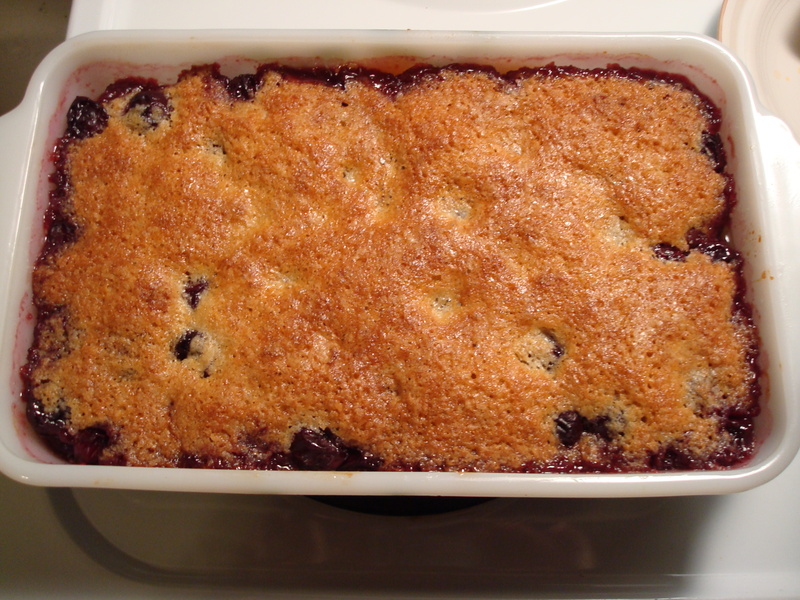 Anyhow I decided to thaw out some of those beautiful Door County cherries to make a cobbler. Cobblers are SO easy. Even people who say they can’t bake can totally make cobblers. Trust me on this one. 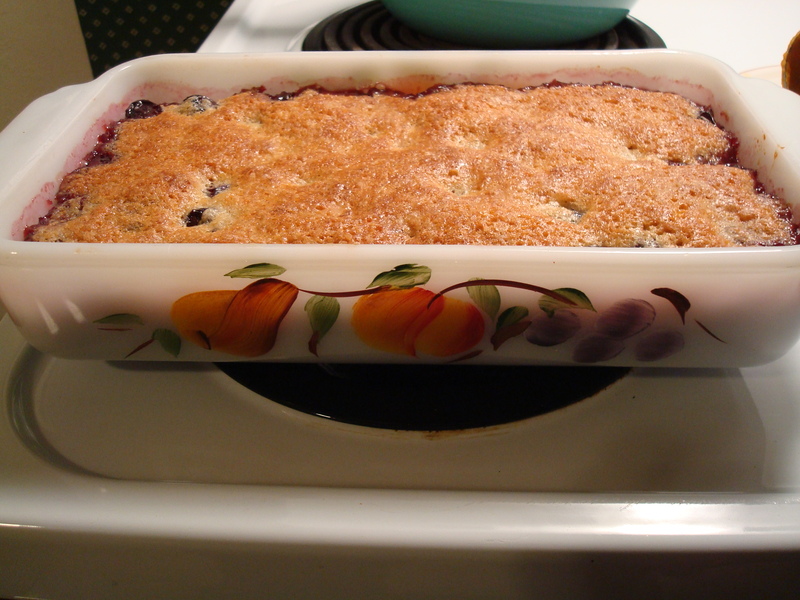 I wanted to break out this awesome vintage baking dish that my Aunt Sarah gave to me for Christmas only I didn’t take into account that it was smaller than what the recipe called for so the cobbler was more like a full-on crust. No matter. It tasted wonderful just the same! 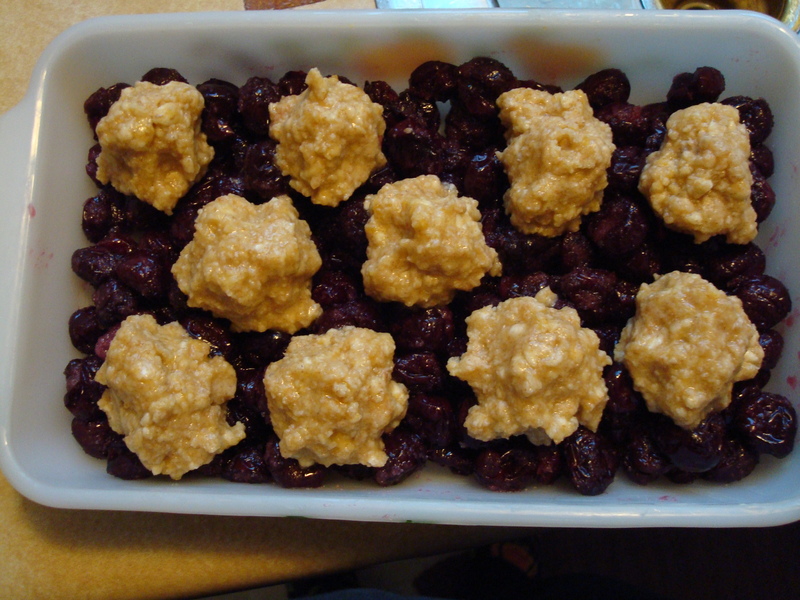 While I have made cobblers in the past, this recipe was very light and made me feel like it was almost good for me. And I guess if it made me happy thinking of summer in February then it was! Preheat the oven to 375 degrees. Toss the fruit with half the sugar, and spread it in a lightly butter 8-inch square or 9-inch round baking pan. Combine the flour, baking powder, salt, and remaining sugar in the container of a food processor and pulse once or twice. Add the butter and process for 10 seconds, until the mixture is well blended. By hand, beat in the egg and vanilla. Drop the mixture onto the fruit by tablespoonfuls; do not spread it out. Bake until golden-yellow and just starting to brown, 35 to 45 minutes. Serve immediately.